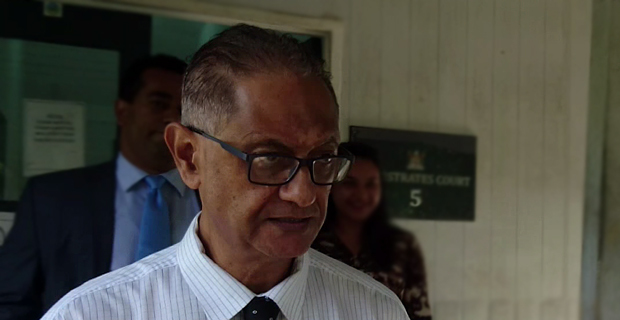 Prominent Suva lawyer, Shazran Abdul Lateef has been granted bail by Suva Magistrate Liyanage Wikaramasekara with very strict bail conditions. Lateef has been ordered to pay a cash bail bond of $5,000 by 4pm. A bail bond of $5,000 will need to be signed by the two sureties who have been ordered to surrender their passports. Lateef's lawyer, Filimoni Vosarogo told the court they would have the money deposited by this afternoon. In his bail ruling, Magistrate Wikaramasekara said the prosecution has provided no strong facts that Lateef would reoffend while on bail. Lateef was seeking bail in the case where he is charged with two counts of theft. According to charges filed by Police, the 58‑year‑old allegedly stole three tablets and three mobile phones between December last year and January this year. The phones and tablets belonged to Vodafone Fiji and were found at Lateef’s home at Nailuva Road. Lateef has two other cases in the Magistrates Court in relation to unlawful possession of illicit drugs.